If you’re in the mood for watching a high-stakes cat-and-mouse game play out on the screen, here are 6 you can’t go wrong with. The Silence of the Lambs – This 1992 winner of the “Big Five” Academy Awards — Best Picture, Director, Adapted Screenplay, Actor and Actress — proves that the most brutal of cat-and-mouse games can be played even when one of the participants is behind bars. Serial killer Hannibal Lecter (Anthony Hopkins) taunts FBI trainee Clarice Starling (Jodie Foster) into sharing personal information with the promise of intel that could help her catch another serial killer, “Buffalo Bill.” You’ll never think of Chianti or fava beans the same way. Butch Cassidy and the Sundance Kid – Based loosely on real events, this late-‘60s classic serves up a new kind of Western: one in which its antiheroes — train robbers Butch Cassidy (Paul Newman) and “the Sundance Kid” (Robert Redford) — actually leave the Wild West and escape to Bolivia … where they proceed to resume their unlawful ways. But sheriffs, police and soldiers are never more than one step behind, and eventually the daring duo needs to decide what they’re going to do when their decades of running come to an end. Seven – In this disturbing, relentlessly dark thriller from director David Fincher, we follow retiring detective Somerset (Morgan Freeman) and hot-tempered, new-to-New-York agent Mills (Brad Pitt) as they attempt to catch serial killer John Doe (Kevin Spacey), who has been behind a string of elaborately staged murders all revolving around a “seven deadly sins” theme. The agents believe they are closing in on Doe, only to realize he’s been planning the details of his gruesome cat-and-mouse game for a long, long time. The Thomas Crown Affair – In the most fun film (and the only remake) on this list, Pierce Brosnan plays billionaire Thomas Crown, who gets his jollies from masterminding art heists. After he’s suspected of being behind the theft of a $100 million Monet from the Metropolitan Museum of Art, insurance investigator Catherine Banning (Renee Russo) has Crown trailed … while also beginning a romantic relationship with him herself. Theirs is a cat-and-mouse game that crosses all sorts of boundaries. Zodiac – Director David Fincher strikes again with this deep dive into one of our country’s most notorious unsolved cases: the Zodiac Killer murders. Jake Gyllenhaal, Robert Downey Jr. and Mark Ruffalo depict the real-life men who attempted to track down and guess the identity of San Francisco’s Zodiac Killer for years, beginning in the late ‘60s. Their cat-and-mouse game was played directly with the murderer, who went so far as to mail in cryptic clues, messages and evidence to them. Though their manhunt was never resolved, Fincher does offer up a strong theory for who the killer actually was. 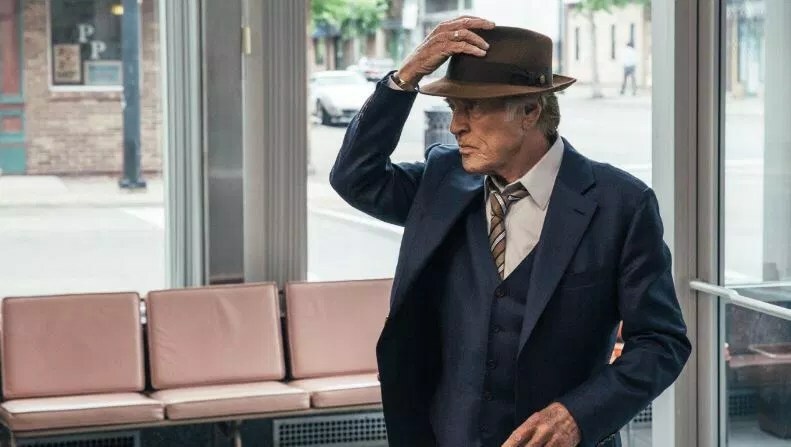 The Old Man & the Gun – In this final performance of his decades-long career, Robert Redford (who earned a Golden Globe nomination for the role) summons his “Sundance Kid” charm to play real-life bank-robber and prison-escaper Forrest Tucker. It’s an incredible story of a man who just loves the thrill of the chase. Sissy Spacek plays his love interest, and Casey Affleck co-stars as the detective who pieces together information from all of Tucker’s robberies in order to figure out his identity. After years of successfully pulling off heists and busting out of jail, has Tucker finally met his match? What’s your favorite cat-and-mouse movie?